Howard Shore's Academy Award-winning score for The Lord of the Rings has been hailed as some of the greatest film music ever written. Sweeping in scope, it is an interpretation of J.R.R. Tolkien's Middle-earth as music---an operatic tapestry of cultures, histories, languages, and peoples. 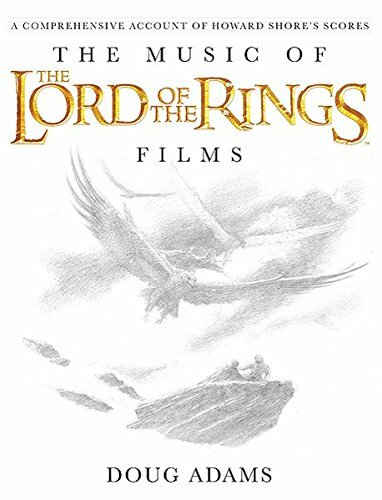 The Music of the Lord of the Rings Films takes the reader on an unprecedented journey into the heart of this history-making opus with extensive music examples, original manuscript scores, a rarities CD, and fascinating glimpses into the creative process from the composer himself. Also included are a foreword by Howard Shore, an introduction by Fran Walsh, and sketches by John Howe and Alan Lee. If you have any questions about this product by Alfred, contact us by completing and submitting the form below. If you are looking for a specif part number, please include it with your message.